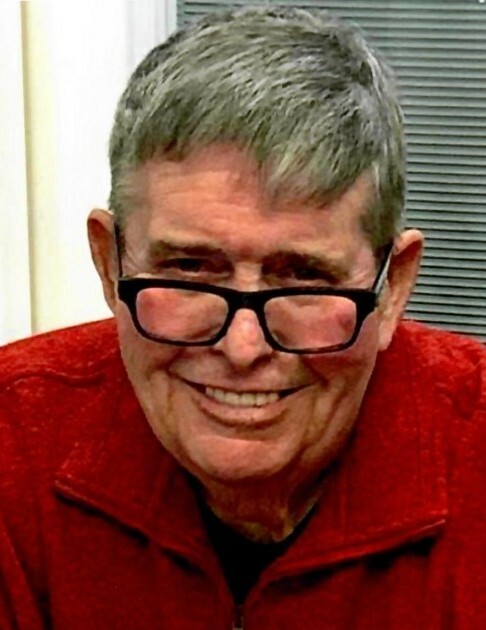 Charles Robert “Bob” Kennedy, 78, Kokomo, passed away at 6:00 p.m. on Wednesday, April 10, 2019, at St. Vincent Hospital in Indianapolis. He was born August 9, 1940, to Max Delno and Naomi F. (Anderson) Kennedy. On May 12, 1962, he married Kathleen A. Krieg, at Main Street Christian Church in Kokomo, and she survives. Bob graduated from Kokomo High School in 1960. He went on to serve in the United States Navy, serving on board the USS Hugh Purvis during the Cuban Missile Crisis. He worked at Delco Electronics as a guard and fireman, retiring in 2001 after 30 years of service. As a young man, he worked for his brother Ray at his Union 76 service station. Bob loved the outdoors. He enjoyed camping, canoeing, taking long bike rides and in his later years riding his three wheeled scooter. He enjoyed playing pool and cards with his family. One of Bob’s favorite things to do was mow. He took great pride in caring for his lawn and his daughter and son-in-law’s. Being on that mower brought him great happiness. He was an avid woodworker creating many treasured gifts for his friends and family. His greatest joy was his family. Always supporting his daughter, son-in-law and grandchildren in their endeavors, he attended many dance recitals, choir and band concerts, marching band competitions and various sporting events. Although he was not a regular church goer, he was a believer and lived his faith. Bob was a humble, selfless man, always ready to help anyone in need. Left to cherish his memory are his wife, Kathleen Kennedy, daughter, Jill (Terry) Munson, of Kokomo; grandchildren, Meaghan (Andrew) Salinas, Kokomo, Nick (Ashley) Munson, Noblesville, and A.J. Munson, Kokomo; great-grandchildren, Connor, Wyatt and Nora Salinas; sisters, Kay (Dan) Tharp, Kokomo, and Pat Shafer, Kokomo; sister-in-law, Ethelyn (Phil) Dwigans, Kokomo; a cousin that was like a little brother, Floyd (Sarah) Krieg, Greentown; and many nieces and nephews. He was preceded in death by his parents; brothers, Albert, Ray, George, Delno and Donald Kennedy; and sisters, Dorothy Thompson, Helen Kennedy, Jean Ellis and Joann Grant. Funeral services will be held at 11 a.m. on Monday, April 15, 2019, at Shirley & Stout Funeral Home, 1315 W. Lincoln Rd., Kokomo, with Rev. Lanny Lawler officiating. Burial will follow in Albright Cemetery with military honors provided by the United States Navy and the Kokomo VFW Military Rites Team. Friends may visit with the family from 2 to 6 p.m. on Sunday at the funeral home. Bob loved helping children and contributions may be made in his memory to the First Christian Church Kids for Christ Backpack Program. Messages of condolence may be left online at www.shirleyandstout.com.